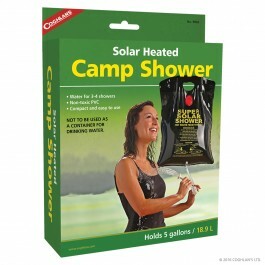 Coghlan's Solar Heated Camp Shower is great to keep up with hygiene with a warm shower on the go. This compact and easy to use solar bag can hold up to 5 gallons of water. Easy to store in any backpack, prepper bag or survival kit. 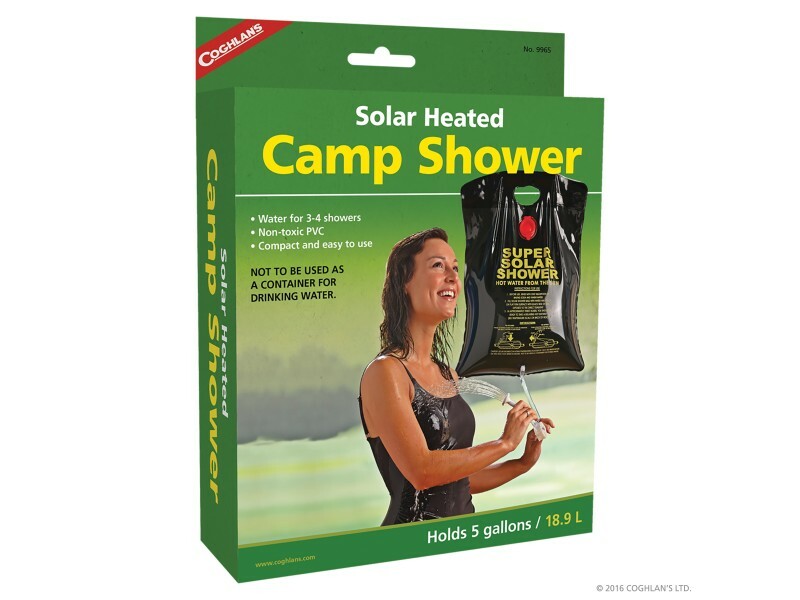 Coghlan's Solar Heated Camp Shower is lightweight and made from non-toxic PVC. It includes a cord for hanging. Stores enough water for 3 - 4 showers. The hose measures about 22 inches. is is not intended to be used as a container for drinking water.